A landmark report on the UK’s progress toward the Sustainable Development Goals (SDGs) has been published. ‘Measuring Up’, produced by UKSSD, paints a somewhat gloomy picture of the UK’s performance, whilst highlighting successes across the 17 SDGs that tackle issues from improving health, ending hunger, poverty, and inequality to taking action on climate change. Sitting below the 17 SDGs are 169 targets, of which 143 are relevant to the UK. Of these, the report reveals that the UK is performing well on just 24% (green), performing poorly on 15% (red) and inadequately performing on 57% (orange). The findings, developed through the hard work of many organisations and individuals, sets the foundations for the formal national review in 2019. The report urges government, businesses, civil society organisations and individuals to work together to speed up progress toward the SDGs. The report is welcome and clearly needed – coordinating this many contributors is also a huge achievement by the UKSSD – but what does it mean for Scotland? A number of contributors to the report are based in Scotland, and the report draws comparisons from across the Home Nations to support the sharing of best practice and areas where common misgivings have occurred. Scotland’s performance is encouraging. We talk a lot about the First Minister’s unique position as one of the first national leaders to publicly commit to the SDGs, but the report clearly shows that Scotland is setting the pace for the rest of the UK. The Scottish Government’s approach to incorporate measurement against specific goals in its National Performance Framework stands out in the report. Published last month, the updated Framework provides the building blocks for a clear multi-stakeholder action plan for achieving the SDGs in Scotland. This, coupled with Wales’ Well-being of Future Generations Act, are presented as best practice in the UK for tracking, measuring and reporting on progress. Scotland’s SDG Network is also mentioned. 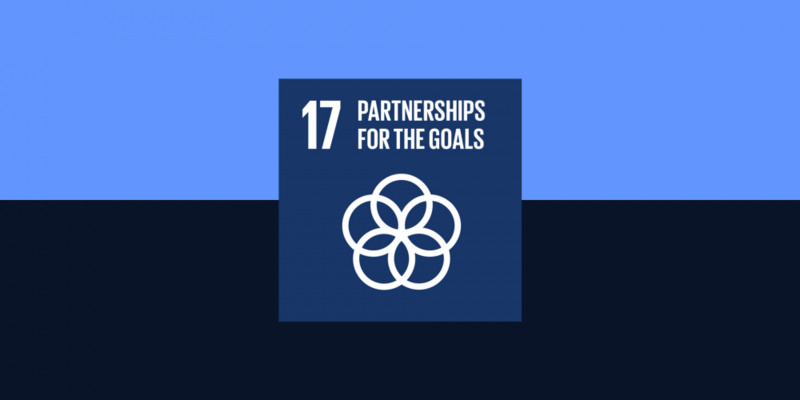 Formed out of demand for a space to share lessons, resources and ideas regarding the SDGs, its work has included the successful lobbying of the Scottish Government and other stakeholders since May 2017 to raise the profile of the Goals as well as setting up Scotland’s National Platform for the SDGs. The will and precedent to take action on the SDGs in Scotland is threaded throughout ‘Measuring Up’. Whilst the report is a little light on Scotland-specific content in some areas, it neatly captures the direction of travel we are taking as a nation towards the SDGs. A more connected and collaborative approach is forming in Scotland, and we’re promoting good practice along the way. From the increasing profile of poor and unaffordable housing and the introduction of a new Advisory Council on Women and Girls to Scottish Water’s ‘Shaping the Future’ consultation, great efforts are being made to help Scotland progress towards the SDGs. That these examples are not included in today’s report only strengthens my appetite for a well-resourced multi-stakeholder forum in Scotland that builds on the work of our SDG Network and can go further in evidencing Scotland’s progress. Scotland’s target to eradicate child poverty in Scotland by 2030 through the Child Poverty (Scotland) Act is praised as ‘ambitious’, and Child Poverty Action Group’s ‘The Cost of the School Day’ programme features as a case study for best practice. Scotland’s recent introduction of a minimum price per unit on the sale of alcohol (MUP), which came into force on 1 May 2018, is considered to be much needed progress in reducing health inequalities and alcohol-related deaths. This, coupled with a MUP bill introduced by the Welsh Government, could support the ongoing review in England. The report welcomes the policy priority given to sustainable development in education in Wales and Scotland. Connecting Classrooms, a programme delivered by Learning for Sustainability Scotland and funded by the Department for International Development, features as a case study demonstrating good practice for training teachers in sustainability. The number of Scottish households living in fuel poverty (31%) was noted as the highest across the UK, but the Scottish Government’s ambitious target to phase out new diesel and petrol cars by 2032 was praised. Scotland’s onshore wind record, which saw electricity in Scotland generated by onshore wind turbines up by 44% in the first quarter of 2018, also features as a case study for best practice. The report notes the failure of successive governments to commence the socio-economic duty in the Equality Act 2010. Scotland is praised for recently enforcing this duty, which requires public authorities to ‘have due regard to the desirability… to reduce the inequalities of outcome which result from socio-economic disadvantage’ in its decision making’. Scotland’s membership of the global Open Government Partnership is also welcomed, with the first plan including reforms on financial transparency, measuring Scotland’s progress, participatory budgeting and increasing participation. This included the commitment to align Scotland’s National Performance Framework with the SDGs. Well done to the UKSSD and all contributors who have made this report a reality. It sets the bar for a formal national review of the UK’s progress towards the SDGs, and will help us here in Scotland to maintain and build more momentum.